Thursday, Dec 6, 2018 6:00 p.m. - 7:00 p.m.
Want to be a part of the biggest live red carpet show in Atlanta? College Football’s version of The Oscars is happening at the Hall for the fourth year in a row! 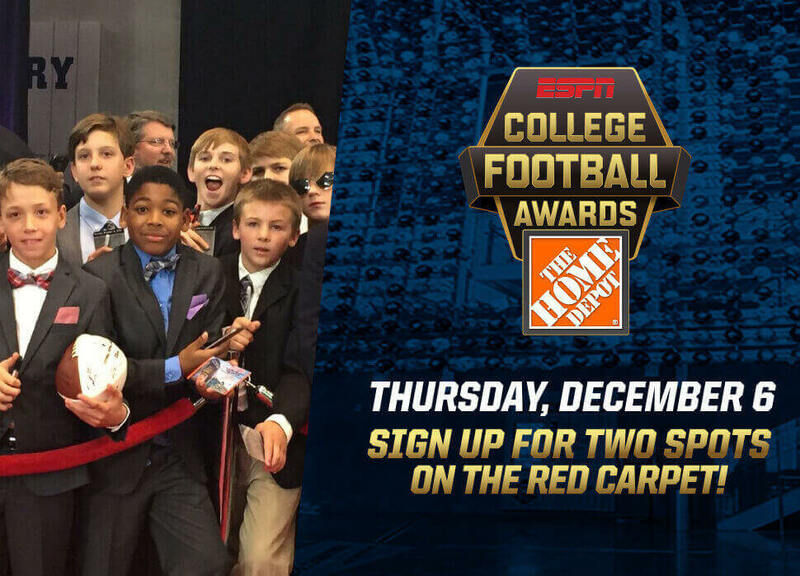 See college football’s biggest stars UP CLOSE on the red carpet at The ESPN College Football Awards, Built By The Home Depot, on Thursday, December 6th.This year’s Red Carpet Show will be hosted LIVE from the Hall by ESPN College GameDay host Maria Taylor from 6:00 pm - 7:00 pm! Fans can bring gear and items to be signed by players and coaches while attending. Reserve your spot today by emailing info@cfbhall.com.